Tue., 8 Oct. - Wed., 16 Oct. Mon., 6 May - Wed., 5 Jun. Sun., 26 May - Sat., 8 Jun. Thu., 10 Oct. - Sat., 19 Oct. Sat., 13 Jul. - Wed., 17 Jul. Mon., 19 Aug. - Mon., 2 Sep. Tue., 27 Aug. - Thu., 5 Sep. 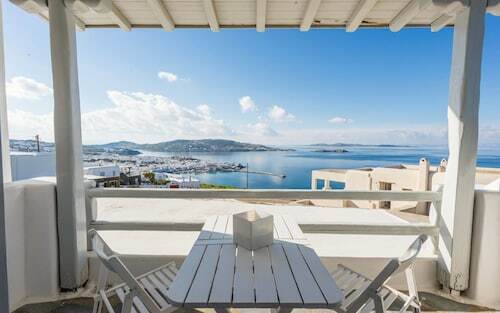 Situated in Mykonos, this guesthouse is within 2 mi (3 km) of Fabrica Square, Ornos Beach, and Mykonos Old Port. Windmills of Mykonos and Psarou Beach are also within 2 mi (3 km). 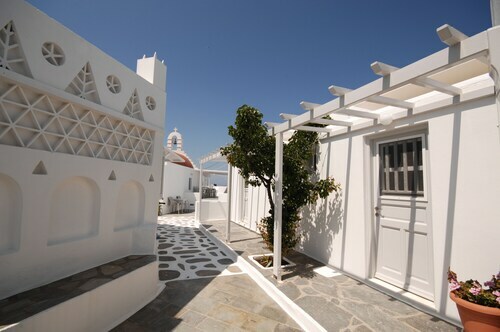 Situated in Mykonos, this apartment building is within 2 mi (3 km) of Fabrica Square, Mykonos Old Port, and Ornos Beach. Windmills of Mykonos and Psarou Beach are also within 2 mi (3 km). 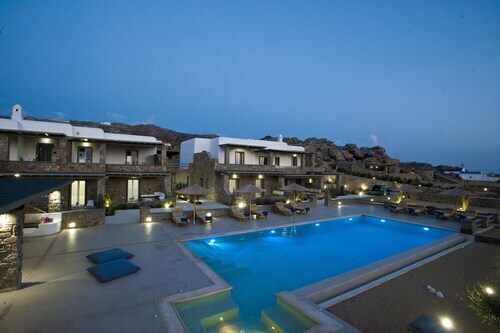 Situated near the airport, this hotel is within 1 mi (2 km) of Fabrica Square, Mykonos Old Port, and Windmills of Mykonos. Ornos Beach and Paradise Beach are also within 3 mi (5 km). 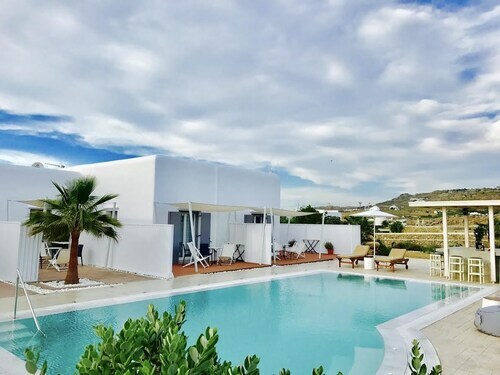 Located in the heart of Mykonos, this aparthotel is within 1 mi (2 km) of Archaeological Museum of Mykonos, Mykonos Old Port, and Windmills of Mykonos. Mykonos New Port and Agios Stefanos Beach are also within 2 mi (3 km). Situated in Mykonos, this apartment building is within 3 mi (5 km) of Mykonos Library, Mykonos Old Port, and Super Paradise Beach. Ornos Beach and Windmills of Mykonos are also within 3 mi (5 km). 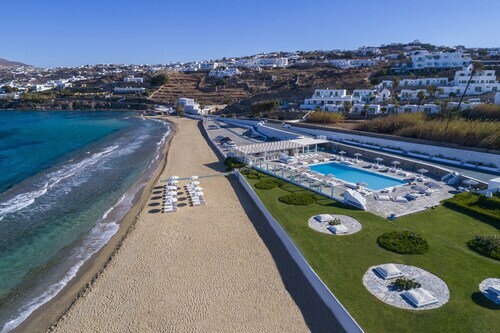 Located in Mykonos, this beachfront hotel is in the city center and within a 15-minute walk of Megali Ammos Beach and Windmills of Mykonos. Mykonos Old Port and Ornos Beach are also within 2 mi (3 km). 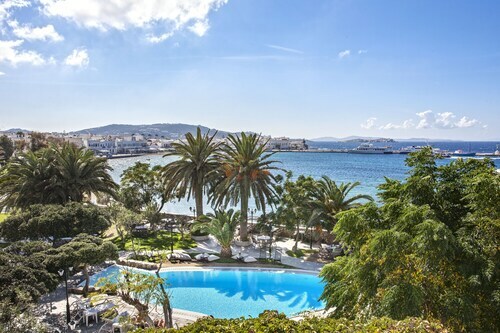 Situated in Mykonos, this hotel is within 1 mi (2 km) of Fabrica Square, Mykonos Old Port, and Windmills of Mykonos. Ornos Beach and Paradise Beach are also within 3 mi (5 km).